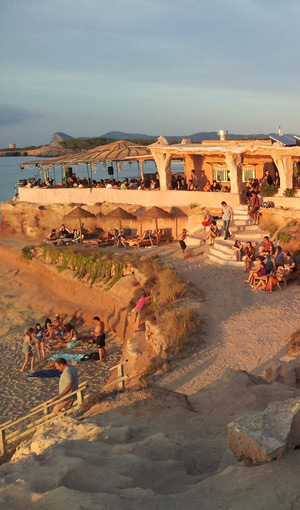 Sunset Ashram is located on Cala Conta beach on the island’s west side, just around the corner from its more famous competitors Café del Mar and Café Mambo. This once alternative hippie hangout, is now a cool destination for chic Ibiza holiday-makers, and given the timing and laid back atmosphere it’s perfect those wanting to share a special moment with the whole family. If you trying to find something special to do with your kids in ibiza you will discover the chilled house music, and early dinner will suit your schedule perfectly. Arrive and eat just before sunset. Then when your kids get fidgety, they can run around and play on the beach below, while you watch them from your table or accompany them with mojitos in hand, to watch the spectacular sunset which can only be described as the main event. INSIDER TIP: In high season reservations are necessary. Wherever you are staying in Ibiza, there are always beautiful child-friendly beaches close by, where you can spend the day as a family on the beach, listening to Balearic beats. Most beaches have a bar, restaurant or beach club, with and day beds and some have VIP areas, where you can kick back and relax with a glass of rosé and pinchos, while the kids enjoy the water. In high season it is always best to make a reservation in advance. The water is shallow in most places for several meters with small waves, so it’s perfect for toddlers to splash about in without fear of being taken out by a swell. And when they are tired you can make a bed under an umbrella or a sun lounger so they can have an afternoon nap. Formentera is an idyllic island off the coast of Ibiza that is insanely beautiful, with Caribbean crystal waters and soft white sand. The best way to visit this island paradise, with total flexibility, on your family’s schedule, is to charter your own private boat. You will be able to decide on where you want to go and what you want to do, the possibilities are almost endless. You can visit the Robinson Crusoe style island of Es Palmador, only accessible by private boat; check out the caves of Cala Saona; snorkel in the turquoise blue water; try out waterskiing or wake-boarding; or ride a seabob or paddleboard with your kids; and if you are lucky, maybe even spot a dolphin off the coast of Ibiza. INSIDER TIP: This is a holiday for the whole family. There are usually towels, drinks and snacks on-board, all you need to do is relax. 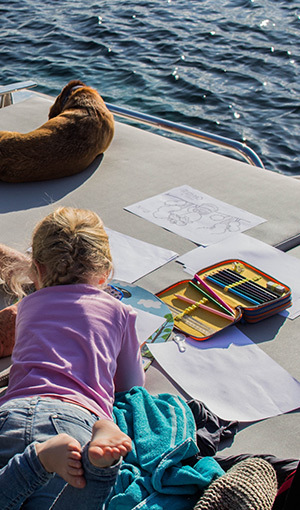 For little ones the gentle rocking of the boat is ideal for an afternoon nap. Blue: Aged 6 – 10: Min height requirement with arms up 1.50m. 20 challenges, 2 – 3m height + 8 zip lines. Under 8’s to be accompanied by an adult. Red: Aged 11+: Min height with arms up 1.70m. 20 challenges, 3 – 6m height + 5 zip lines. Under 12’s to be accompanied by an adult. INSIDER TIP: closed shoes required. 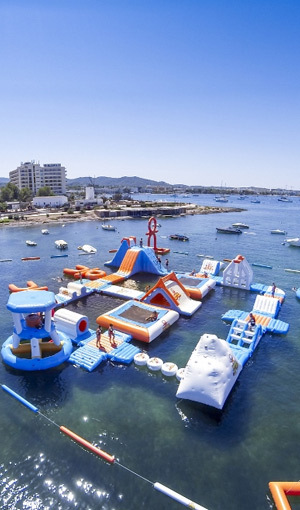 Directly across from the Ocean Beach club, Ocean Mania is an inflatable floating obstacle course spanning over 7,000 sq ft, stationed 50m off the bay. Suitable for the whole family – as long as the younger ones are strong swimmers and at least 1m tall. There’s a minimum of two lifeguards monitoring the park and you must wear life jackets at all times. The first step is to swim to the inflatable circuit. The stations on the floating track are interlocked with slides, there are two massive trampolines, balancing beams and bridges leading participants to the more challenging obstacles. 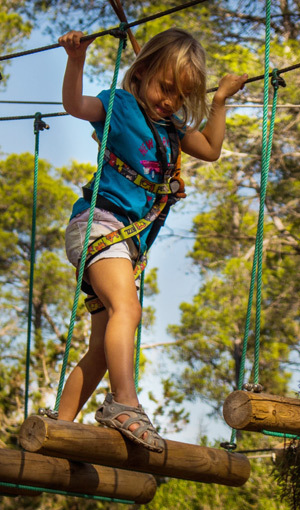 You’ll find yourself bouncing around, hanging off climbing towers, sitting on a free floating catapult and attempting to swing on a rope to the next challenge. Horse Riding in Ibiza is great way to explore the island and there is a large choice of riding schools considering how small Ibiza is. 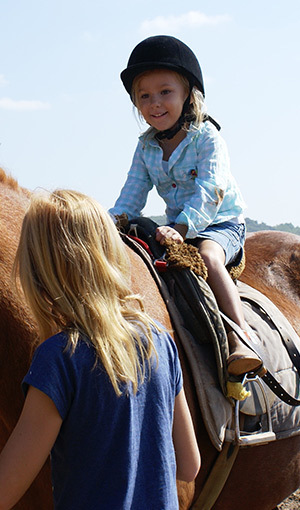 Instructors are well trained, the horses are well cared for and equipment is of a high quality, ensuring you have the best possible horse riding experience in Ibiza. Rent a rib for the day with a skipper and go discovering some of the most exclusive beaches that are only accessible by boat. 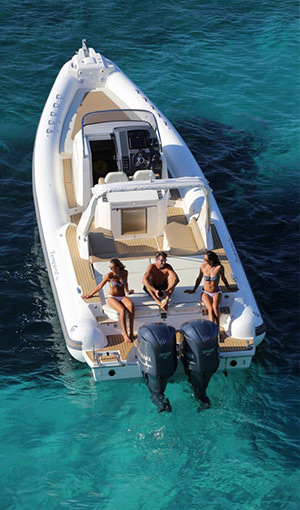 INSIDER TIP: Make sure the boat you choose has a shade solution as it gets very hot in Ibiza in the summer, Also if you have little kids with you make sure you have a good supply of snacks and remember to apply sunscreen often. 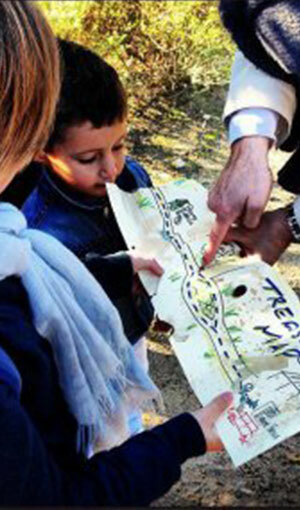 Take a child-friendly guided walk through beautiful forests and breath-taking cliff tops with Walking Ibiza or the Ibiza Walking Association. These experienced guides will show you the many forts, ancient crystals, lighthouses and pirate caves on Ibiza that await to be discovered. If there isn’t a group walk you fancy you can also request a private walk for you and your family, which can be tailored to your requirements. The guides are very knowledgeable and will give you a great deal of information on the history of the area as well as local folklore and florna and flora. If you’re planning a visit to Ibiza, get in touch with us for more child friendly recommendations tailored to suit your family or check out the islands favourite family resource for Kids In Ibiza. Contact us anytime on +34 605 448 466* or +44 20 3286 9633 (UK VOIP) or email us.